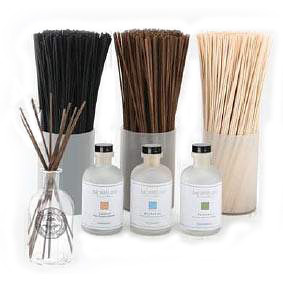 Archipelago Botanicals Natural Diffuser Reeds-Bundle of ten reeds. 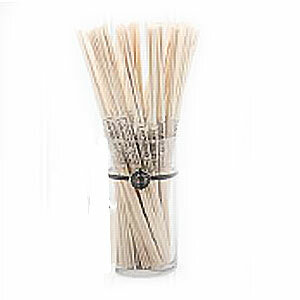 Replace your diffuser reeds every six weeks to keep them fresh. Diffuser oils clog up the micro capillaries in the reeds over time and slow or completely stop the absorption and release of fragrance. New reeds keep your diffuser working as designed. Great product to refresh my scent. Always good to have extras on hand to freshen the diffuser scent. These reeds are a must for me. I almost exclusively use Archipelago diffusers and like having their reeds as extras. Q: What color is the diffuser reed bundle? I don't see a choice, am looking for the light one and the black. A: The reeds come in the color described in the name. They are available in natural, black and brown. You can see all the diffuser reeds here. Q: What's the size unit ? A: These diffuser reeds come in a Bundle of Ten Reeds as the item description indicates. Click here to see other replacement diffuser reeds styles. Sign-in or Create an Account to earn 20 points for this item. See Rewards Page.